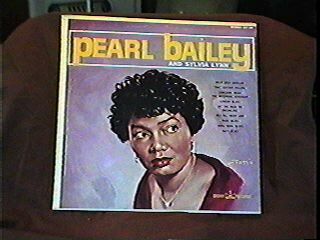 (57) Pearl Bailey: Pearl Bailey-Condition: Good- Stereo. Oil Painting of Pearl on cover by Fazzie.. Date: Circa 1960's. Price: $12.00 + shipping.